Wow!!! This is sooooo awesome! Look, I’m part of the rock! Ten of the crystals around me would fit into one millimeter of space on a ruler. 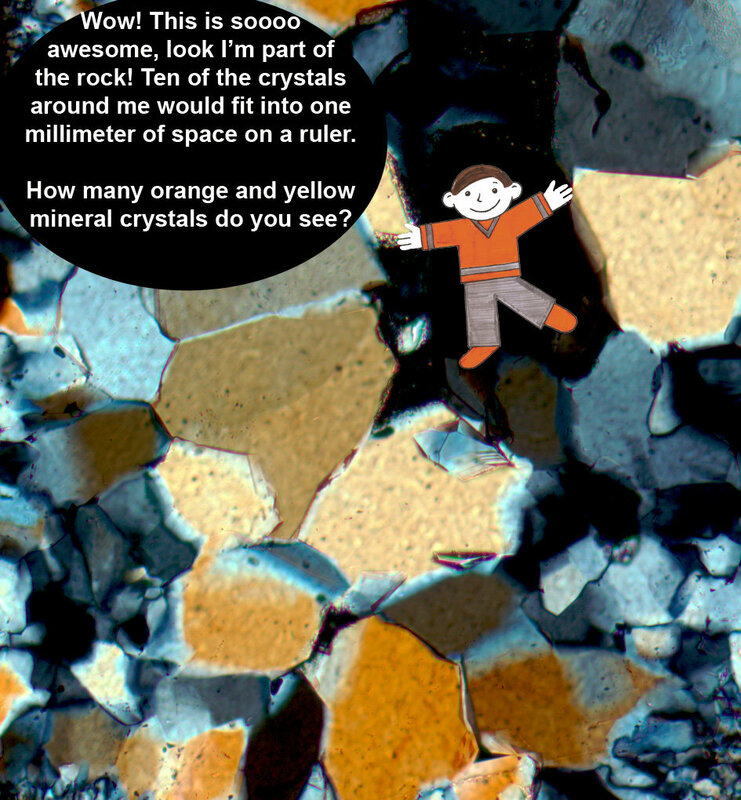 How many orange and yellow mineral crystals do you see?